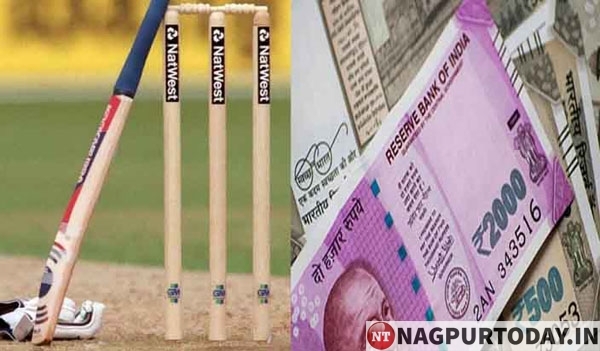 Nagpur: Sports day is a platform to show case the talent and efforts of the children. 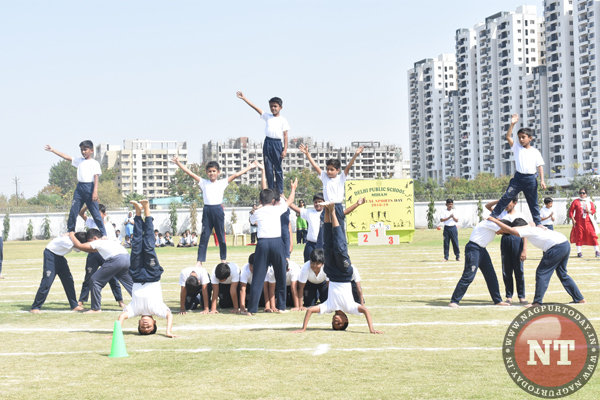 Delhi Public School, MIHAN organized their First Sports Day on February 8 for the students of Pre School and Class I to VI. The Chief Guest R.L.CHAUHAN, Senior Regional Manager, Central Bank of India , the President of the School Tulika Kedia, Principal of the school Gurpreet Bhambra, Nishant Basra Senior Manager and R R Chavhan Asst. Manager of Central Bank of India graced the event. The House Monitors escorted the Chief Guest to the flag hoisting area where the School Flag was hoisted by Chief Guest. Preliminaries of few races were conducted and the shortlisted participants selected for the final round to be conducted on the final day. This was followed by the Torch Run by the athletes of the school ( Anoushka Bagadia -IV A, Yashvi Pahlajani – VI A, Riddhima Sisodiya – VI A, Viraj Malode – Preparatory A , Girvan Kapse – III A , Jaanvika Palsetty – I A, Bhavesh Kubde – V A , Swara Bollamwad – VI A ). The children took the Sports Oath and promised to participate in the sports meet with true sportsman spirit and the glory of sports . The oath was administered by Anoushka Bagadia. A Welcome Dance by the students of Std III to VI followed this, which showcased the benefits of sports.The children also presented clap PT and won the heart of the audience with their perfect coordination . The Chief Guest R.L.Chauhan congratulated these little shining stars and the DPS MIHAN family for the meticulous planning and execution of the events. Further the budding sports stars (finalist) participated in their respective races with full verve and vigour. Students attempted in variety of races such as Ready for Picnic Race, Going to the Party Race, Animal Race, Relay Race collecting / touching the cones , lemon and spoon race, Balloon Bursting Race, Balancing the Book Race, Hopping Race etc. The zealous parents, gathered in large numbers, constantly applauded the enthusiastic young sports stars. Finally races were also conducted for Parents and the non teaching staff of the school and this time it was the children’s turn to cheer for their parents. Finally the young achievers were awarded with the medals by the President of the school Tulika Kedia and the Principal Gurpreet Bhambra. The President, Tulika Kedia, highly appreciated each sports star and applauded the visionary element of the school which nurtures and develops their potential in the sports field . All the children cheered for their houses- Bramhaputra, Narmada, Godavari and Sabarmati . The maximum number of winners were from the Bramhaputra House which bagged the Winning House Trophy . The school playground rimmed with flags and balloons reverberating with the sound of cheers made everyone’s day. To sum up , the collective energy of the children and the facilitators added up to an energetic and fun filled day celebration.